I loved, loved this challenge. It felt like a great return for effort and all test eaters expressed themselves to be delighted with the results. And then were so loaded up on carbs that they all went for a run together. That last part may be an exaggeration. 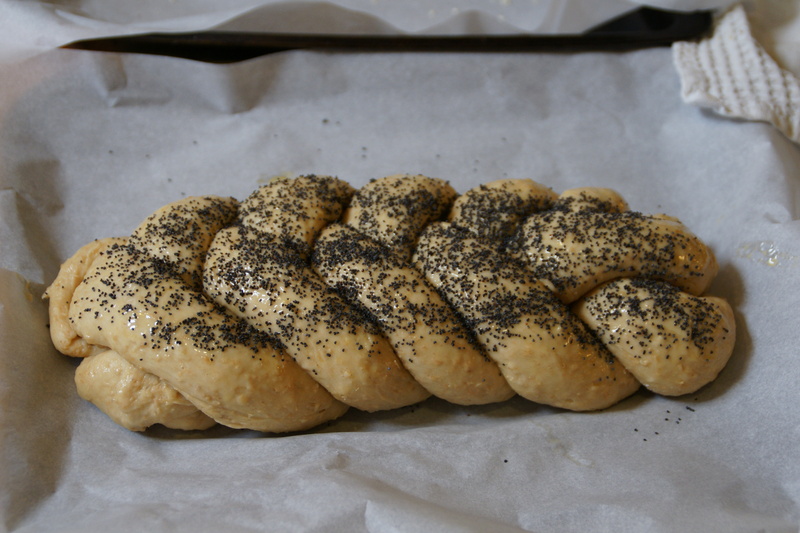 Ruth provided some general information about challah, along with the three recipes to try. I used two of the recipes, as detailed below. 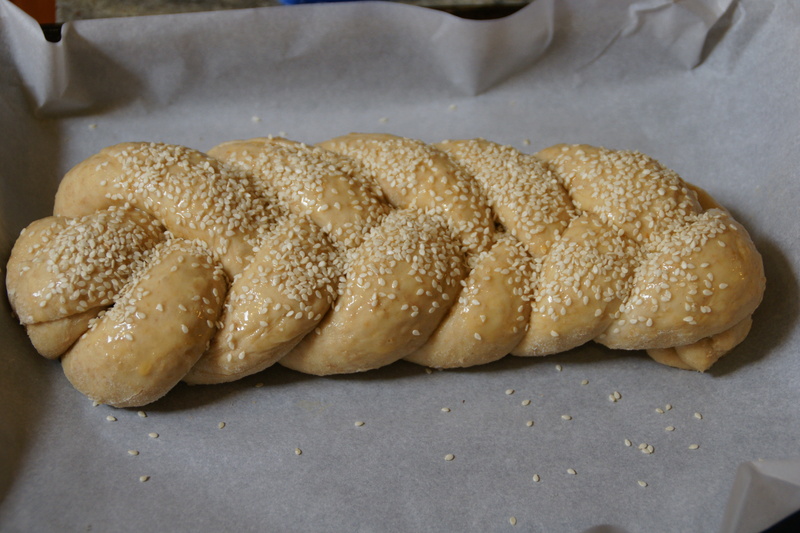 Mandatory Items: You must make an enriched bread which is braided or shaped. 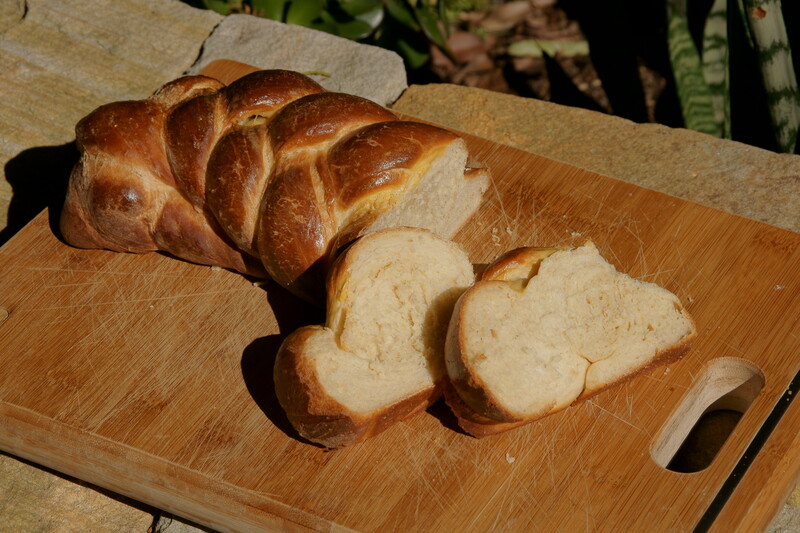 If you must use a loaf pan, the bread should be braided before it goes into the pan. 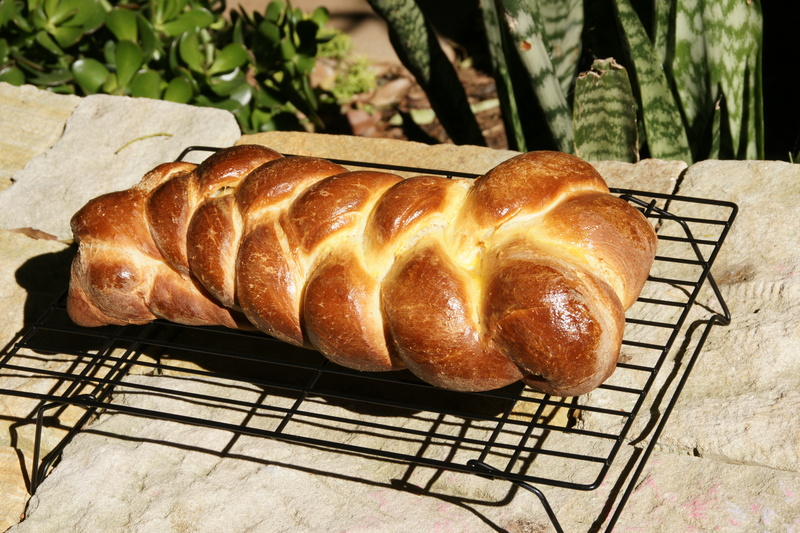 Preparation time: As a general rule, challah takes about 4-6 hours from start to finish. This includes making the dough, at least two risings, baking and cooling. Specific recipes take slightly different amounts of time, and the first rise can be done overnight in the refrigerator if you prefer. Please read through the recipes for specific times. Following are approximates for most. Mixing and kneading the dough: 20 min. Shaping: 10 to 20 min. Cooling: 20 to 30 minutes. 1. Measure flour, sugar and salt into a large mixing bowl. 2. In a separate bowl (or in the bowl of your stand mixer) combine water and yeast, allow to sit 5 minutes until foamy. 3. Add 1 ½ cups of the flour mixture to the water and yeast mixture, beat until well combined. Cover with a dish towel, let stand 30 min. 4. Add two eggs to the dough, beat again. 5. By hand or with your dough hook knead in the remaining flour mixture. Knead approximately 10 minutes. 6. Transfer to oiled bowl, cover, let rise one hour. 7. Punch down dough, knead approximately 3 minutes. 8. Divide dough in two. Shape each half as desired (3, 4, or 6 strand braid). 9. Place loaves on parchment covered or greased cookie sheets, cover with a towel, allow to rise one hour. 10. Preheat oven to 400 degrees. 11. Brush loaves with egg wash.
12. Bake at 400 degrees for 10 minutes. Reduce oven temperature to 375 degrees, bake until golden crust forms (about 25-30 minutes). 13. Transfer to a wire rack to cool. I was really surprised by how much it “grew”, even in the oven. 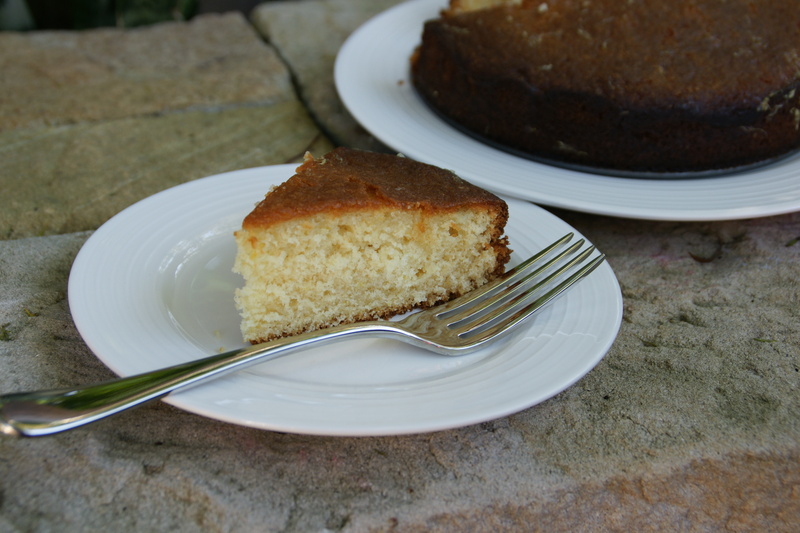 The honey gave it a lovely sweetness and the contrast of the crunchy crust and soft filling was fantastic. Unfortunately I didn’t pay enough attention to the instruction to practice the braiding before you started, so that I basically left out a whole strand of dough (the strange looking line underneath). It doesn’t bode well for my daughter’s hair for school next year. 4. Form dough into a round, compact ball. Turn in oiled bowl, cover with a kitchen/tea towel. Let rise in warm area until doubled, approx. 2 hours. This time I watched the braiding video first, which definitely helped. The second attempt was a lot neater! I have to say, this batch was fan-bloody-tastic. Perhaps it was the oats, perhaps it was the brown sugar or perhaps it was the improved braiding technique. Either way, I am putting this on the to-do-again list. Thanks Ruth! The bread looks fantastic, I’d love to attempt it myself but I’d be afraid to eat the whole loaf. It was a serious consideration for me – I only made it because I knew I had the whole family coming over. Even then I had to hide the leftovers from myself. Nice work with the braiding. I’m not sure I’ve really got that skill down pat yet. 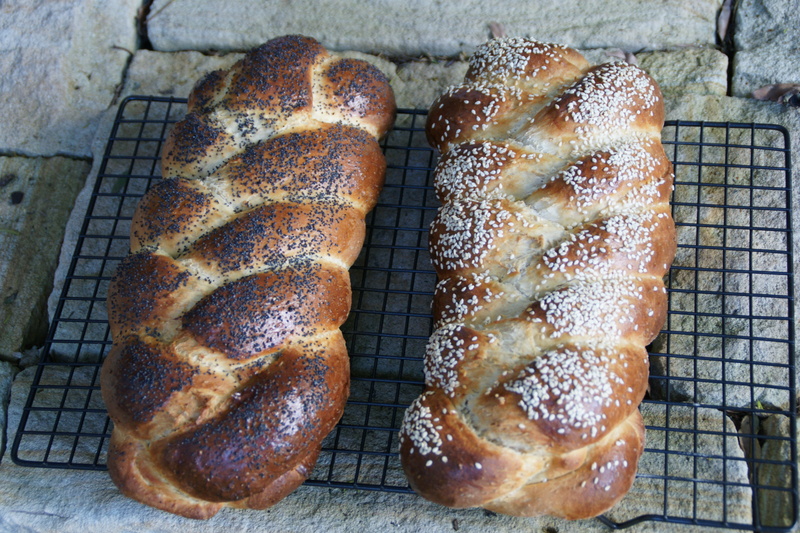 Then again, more practice = more challah, seems like a pretty good deal to me.